Magnesium is a mineral that is needed to make the muscles relax. When the body is deficient in magnesium, the body will be more prone to muscle problems, such as cramps, difficulty moving, and more. If this continues, cramps can lead to insomnia. Magnesium deficiency also have a negative effect on the heart muscle. Based on the study published in the journal in Germany, magnesium helps maintain heart rate and contraction of the heart to be more regular. When the body is deficient in magnesium, the body will be more prone to unstable heartbeat. In the long term this can lead to heart attacks and strokes. More than a century ago, doctors always give magnesium supplementation in patients with depression. Now researchers found that depression can be triggered by magnesium deficiency. A study in 2013, published in the journal Pharmacological Reports also indicate that magnesium supplements effective in controlling depression. Tinnitus, is not a pleasant condition of the ear characterized by the sensation of ringing in the ears. Tinnitus is sometimes caused by an infection. However it can also be caused by magnesium deficiency. Most people believe that kidney stones can be caused by excess calcium. However, the study also showed that magnesium deficiency can also lead to kidney stones. Those are some health problems that could arise as a result of the body's magnesium deficiency. 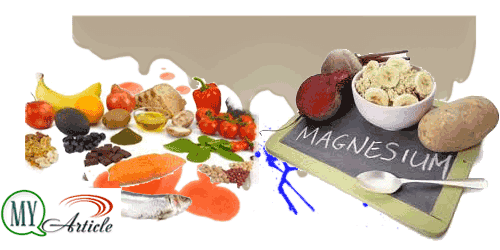 If you start having problems above, you should immediately meet the needs of your magnesium. Magnesium can be obtained from foods such as bananas or supplements.